As an independent congregational church, we are financially dependent upon our congregation alone. We ask you to prayerfully consider giving to the work of the ministry here at Cape Grace Church to enable us to reach out to many more with the wonderful saving message of the Gospel of Grace. Your contribution will last eternally. Cape Grace is registered with SARS as a Public Benefit Organisation (PBO) and exists as a non-profit organization, registration no: 122-013NPO. Kindly note that your personal details are not required in order to process this donation. The payment gateway is protected using 256-bit SSL Encryption. Select from one of the amounts below or select 'Own Amount' and enter the amount you would like to donate in the 'Donation Own Defined Amount' field. This mechanism validates you as a real person. For smart phone donations, Cape Grace is SnapScan enabled. 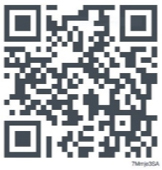 Click here to download the Snapscan app onto your smartphone, register online and then scan the square QR code below to process your donation.